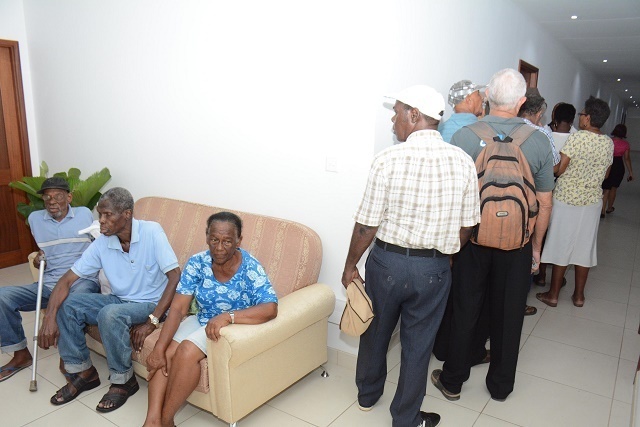 (Seychelles News Agency) - With an increasing life expectancy and an ageing population, Seychelles needs to find ways to address the needs of the elderly and improve labour productivity, said an official on Tuesday. Life expectancy for Seychellois has increased from 69 in 1980 to 74 last year, a factor attributed to better health care service, improved socioeconomic status and education, among other factors. The principal secretary for Family Affairs, Marie-Josee Bonne, said the government is already taking small steps to help prepare the society to deal with the ageing population. “The president announced that the retirement age will increase, whereas the Ministry of Health is leading a campaign called 'My Health, My Responsibility', encouraging the public to take better care of their health today,” said Bonne. The new policy proposals under which the legal retirement age in Seychelles, a group of 115 islands in the western Indian Ocean, will increase from 63 to 65 years will begin January 1, 2023. A census to be carried out in 2020 is expected to provide updated information to help the government put in place necessary policies to address issues relating to the ageing population of Seychelles. “After we get the result of the census, we will have to closely and carefully analyse it and if need be, take some drastic measures to encourage people to have more children,” said Bonne. The elderly population in Seychelles is defined as persons of 63 years and above. According to the National Bureau of Statistics, in June 2018, the population of Seychelles stood at 96,762 out of which 9,677 are aged 65 and above. The chief executive of the National Council for the Elderly, Marie-France Pereira, said that in following studies carried out, it is estimated that in 2050, Seychelles will have three times the number of elderlies as compared to 10,900 in 2015. She added that with an ageing population, there will be a need for more nursing homes. Planning ahead, the government is inviting the private sector to invest in the construction of nursing homes for the elderly. Three plots of lands on Mahe and one on Praslin have already been identified for the project. “Sweden is considered to have one of the highest standards in elderly care in the world and Seychelles stands to benefit from that,” said Pereira. She added that caregivers will benefit through training that will be given by two American specialists who will be in Seychelles in May. More training will be given throughout the year.